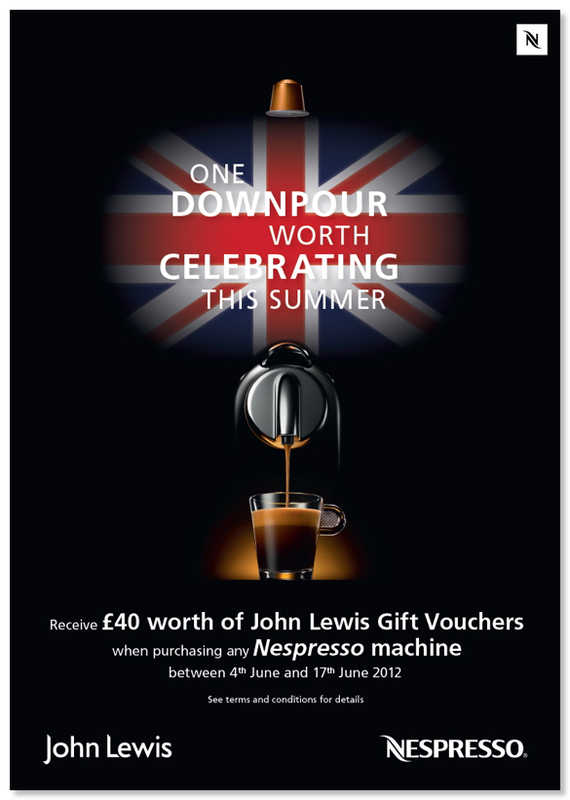 This month we were asked by Nespresso to come up with a summer promotion to tie-in with the Queen’s diamond jubilee. 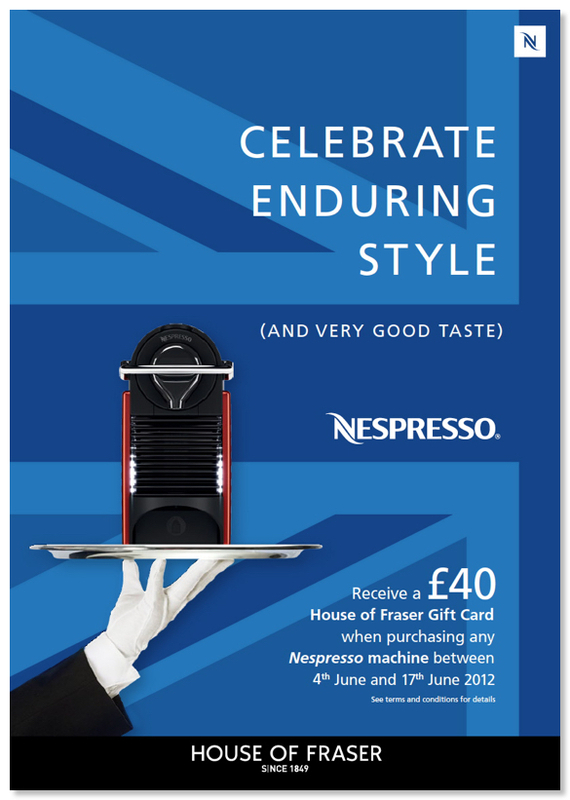 We produce a lot of design work for Nespresso which mainly consists of rolling out new design concepts into new formats — this was the first campaign that we’ve been asked to create the concept as well. 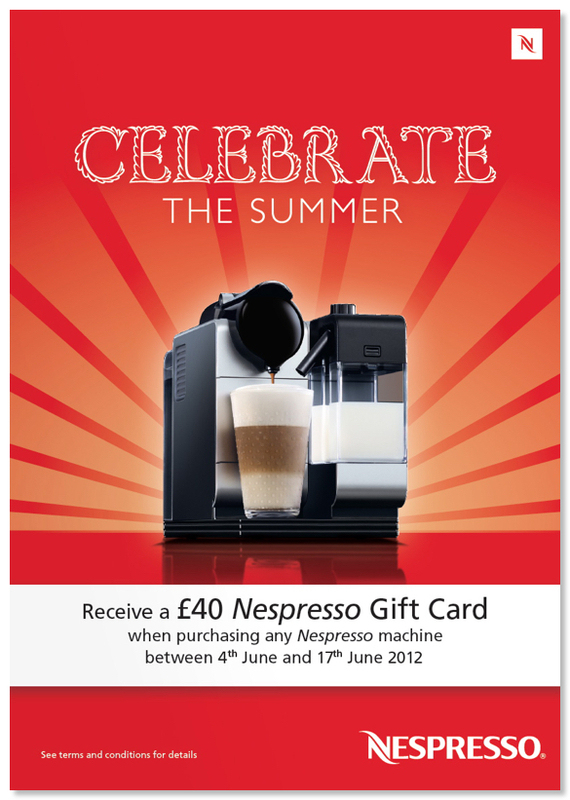 We were asked to produce posters, display cards, postcard dispensers, vouchers and window graphics. All to designed, produced and delivered to over 100 UK stores within a two week deadline — in time to be in-store for the extended Jubilee weekend.